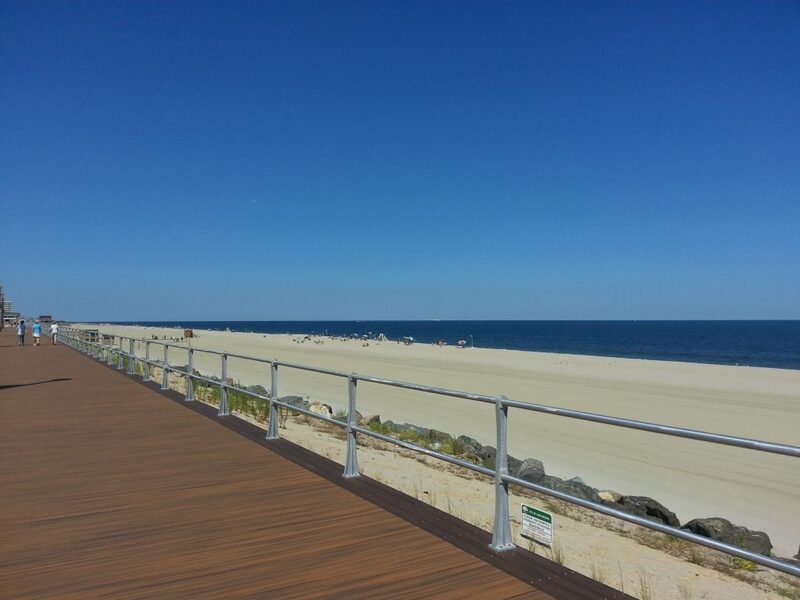 The Anchorage condominium is located on the Long Branch boardwalk in the West End section of town. 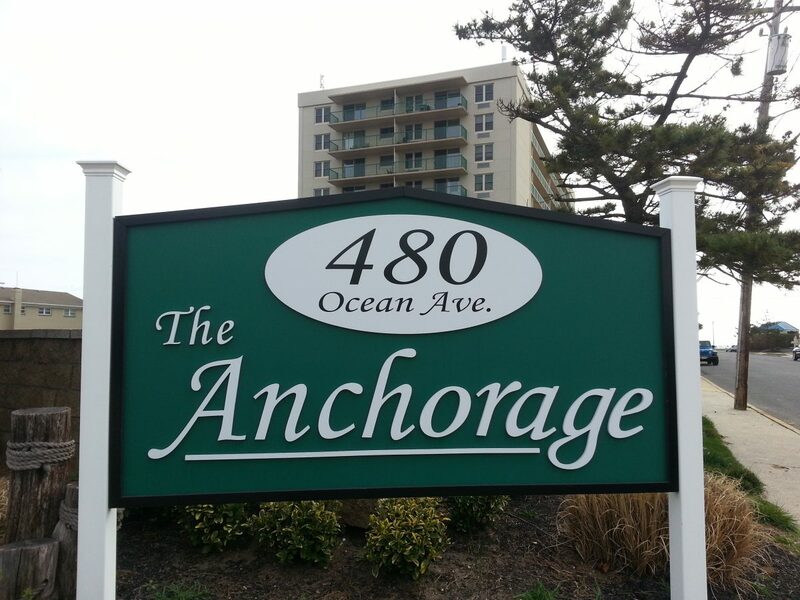 The Anchorage is a mid-rise condominium community of 90 apartments located right on the Long Branch boardwalk. The location on the east side of Ocean Boulevard is ideal with Pier Village and West End stores within walking distance. Built in the early 1970's, The Anchorage has a mix of one and two bedroom apartments with a few studio apartments on the first floor. With the exception of the "B" line and some of the first floor apartments, all apartments have an ocean view. The building is a restricted access with magnetically locked doors and there is onsite management. Amenities include an oceanside pool, fitness room, sauna, community room and additional segregated storage for each apartment. Like many of the mid and high rise buildings along the shore, The Anchorage is pet restricted. 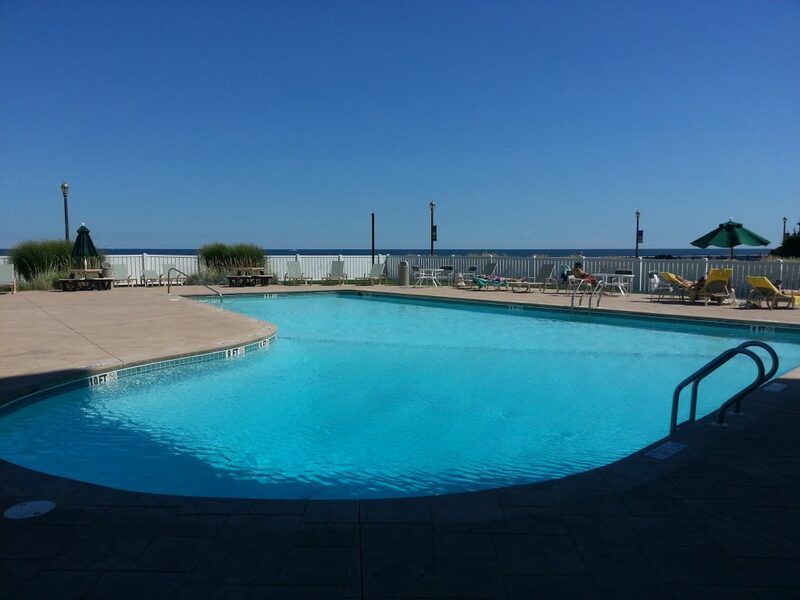 Among the Anchorage amenities is the sparkling pool overlooking the beachfront. Directly behind the Anchorage is the the Long Branch boardwalk and beach, pictured here.